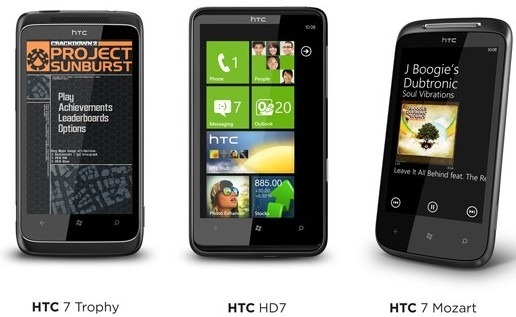 A day after officially unveiling its new range of Windows Phone 7 handsets, HTC has posted overview videos of its HD7, Mozart and Trophy smartphones to its YouTube channel hoping to keep interest high in its devices before they go on sale across the world. The three devices are built with different users in mind but share very similar hardware specifications. Take a look at the videos below, which device would suit you the best?